FANTASTIC LOCATION WITH PHENOMENAL VIEWS!! 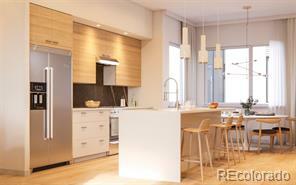 Modern and beautiful Rowhome - 2 Bed, 3 Bath, 2 car garage and ROOF DECK with unobstructed views of the mountains AND city! 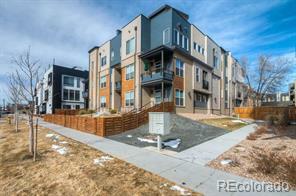 Stainless steel appliance package, quartz counter tops throughout and Livia cabinets with a location thats 1/2 block to the park and a short walk to Mile High Stadium. Upper level laundry that will fit full size washer and dryer. NO HOA - party wall agreement to keep costs down. Expected delivery 12/17.